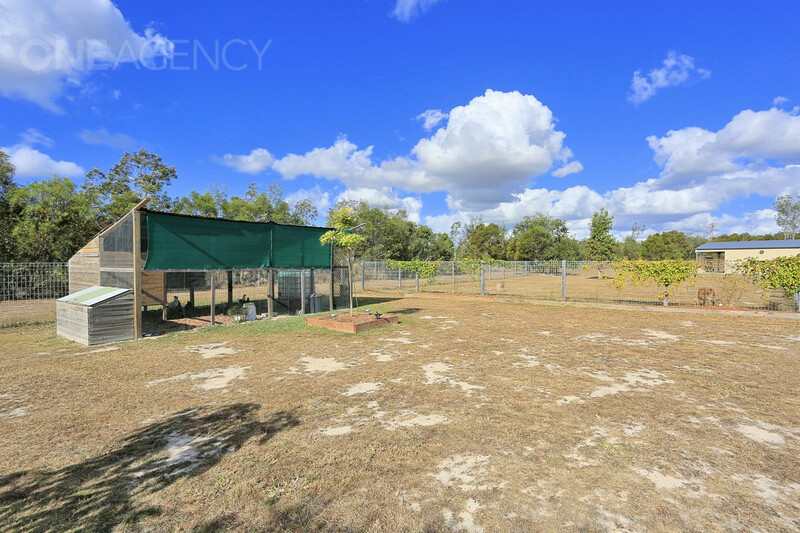 THE COMPLETE SMALL ACREAGE PACKAGE! 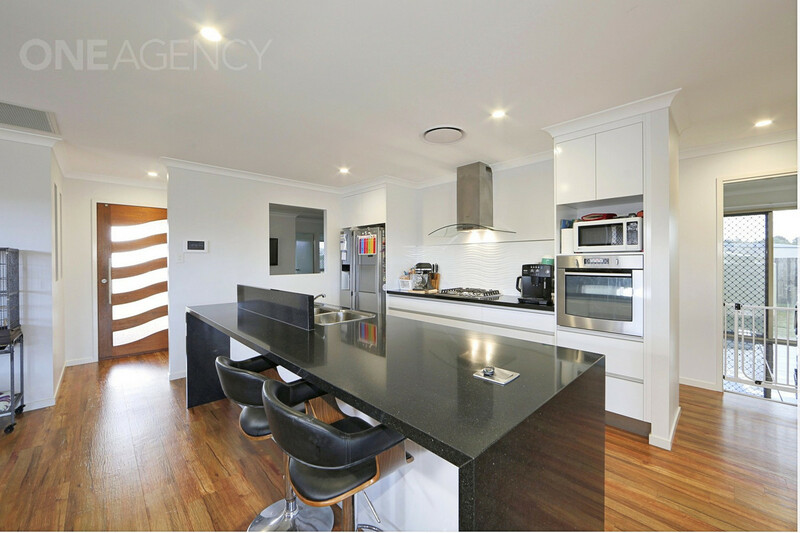 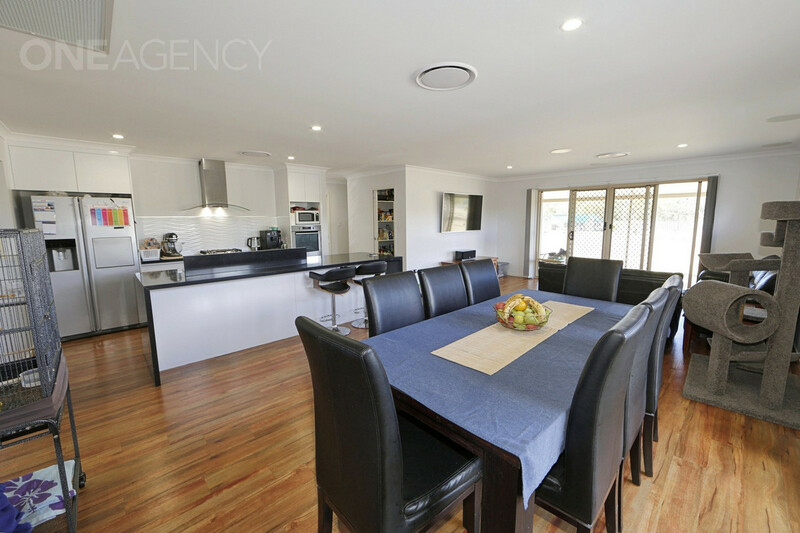 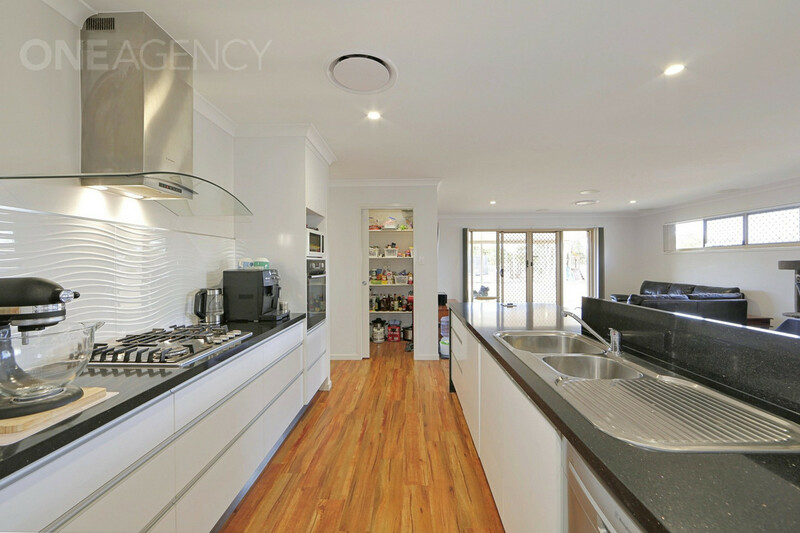 Situated in Parklands Estate this modern & well-presented brick home has so much to offer! 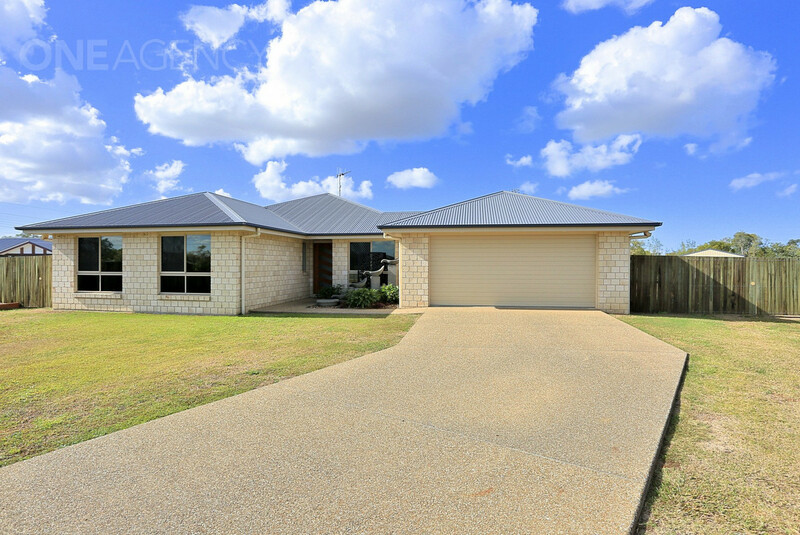 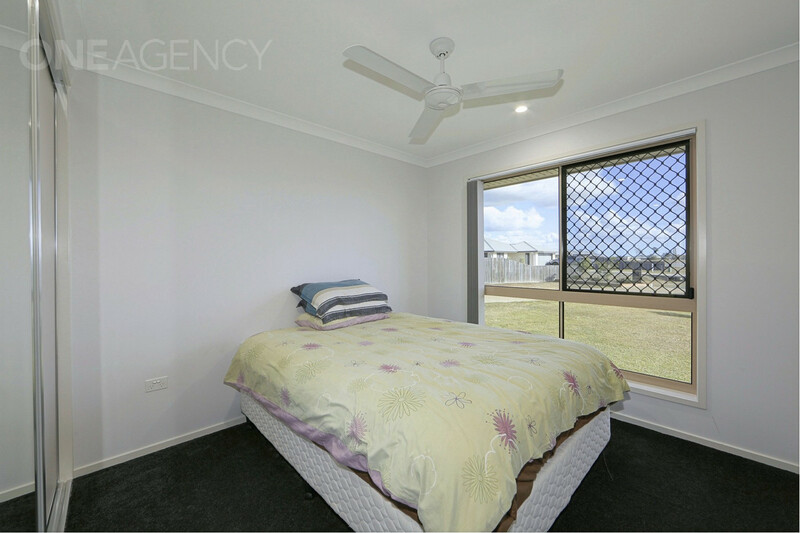 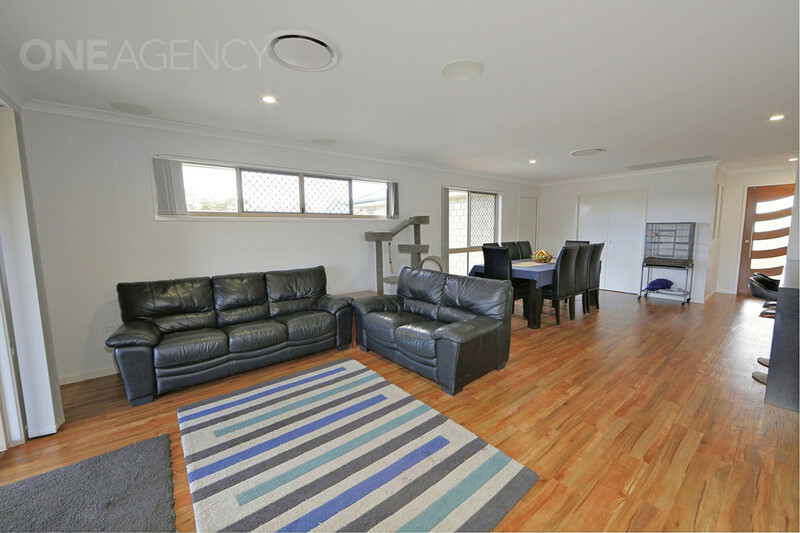 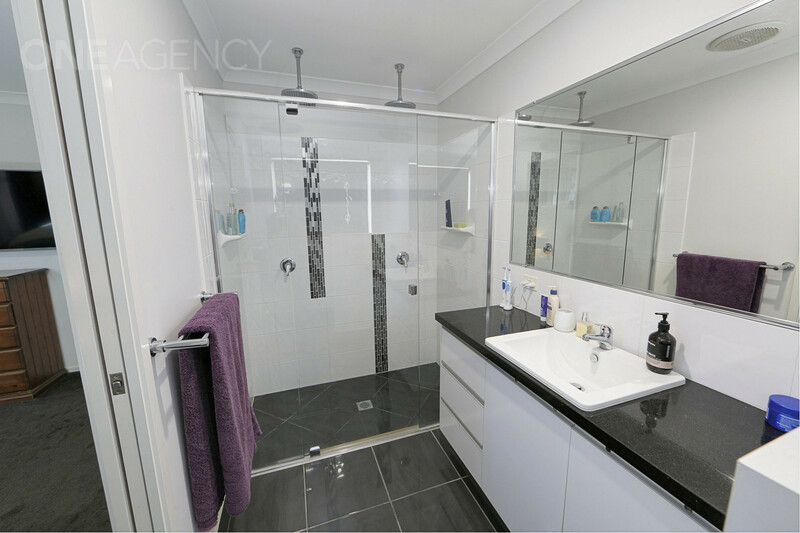 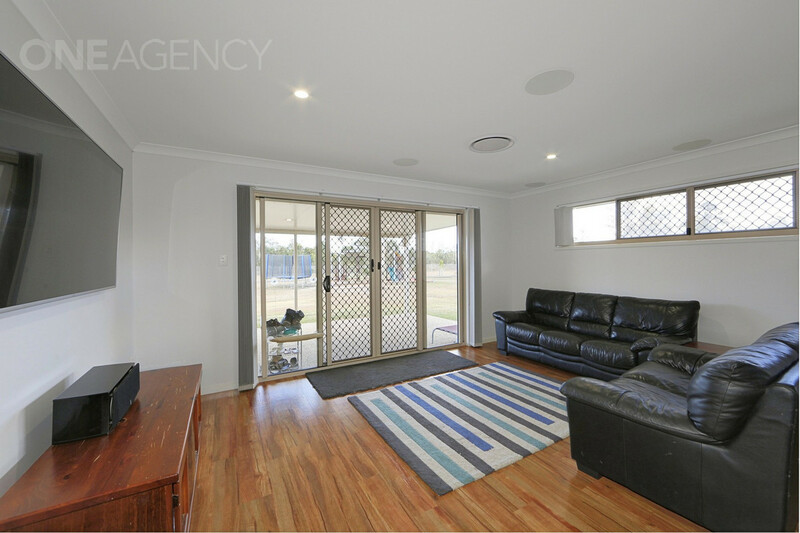 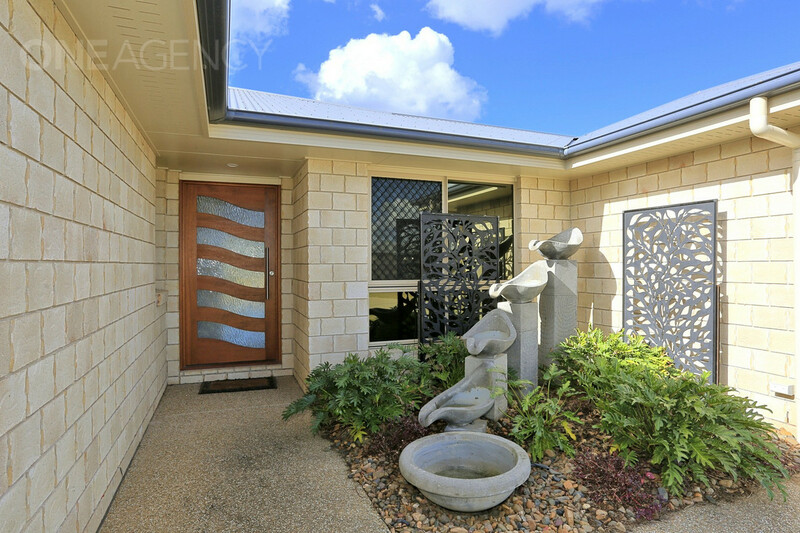 This home built by Bundaberg Homes 4 years ago comprises of four generously sized bedrooms and multiple living areas including a kids play room, large open plan main living area for your lounge & dinning, modern kitchen and a private study/Office. 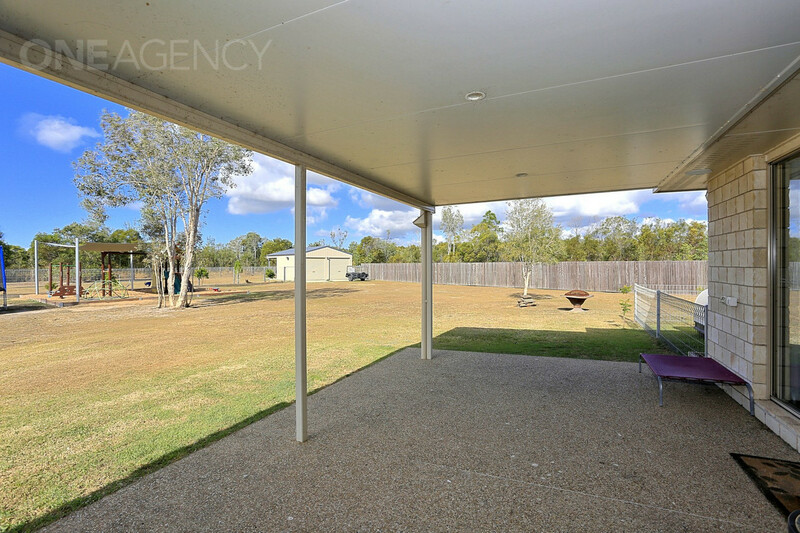 Complete with an insulated outdoor entertaining area, children’s outdoor play centre & sand pit, dual bay shed with extra carport, operational chicken run with laying box & roosting area, two large garden sheds, established garden beds & 3 self-watering vegetable pods for the gardener, quality fencing that surrounds the property, it’s all done! 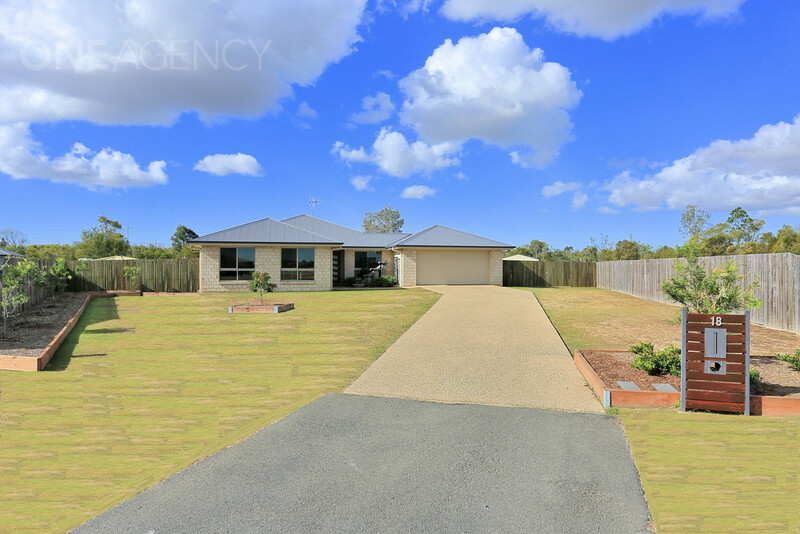 Simply move in and enjoy the small acreage lifestyle immediately with all the hard work done! 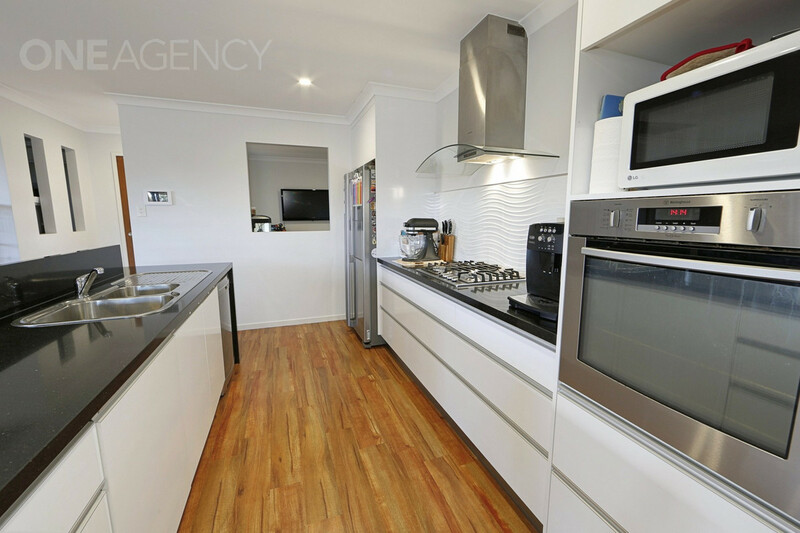 • Modern galley style kitchen featuring a large walk in pantry, stone bench tops, dishwasher, gas cooktop with rangehood, pyrolitic wall oven, microwave nook and double fridge space complete with plumbing. 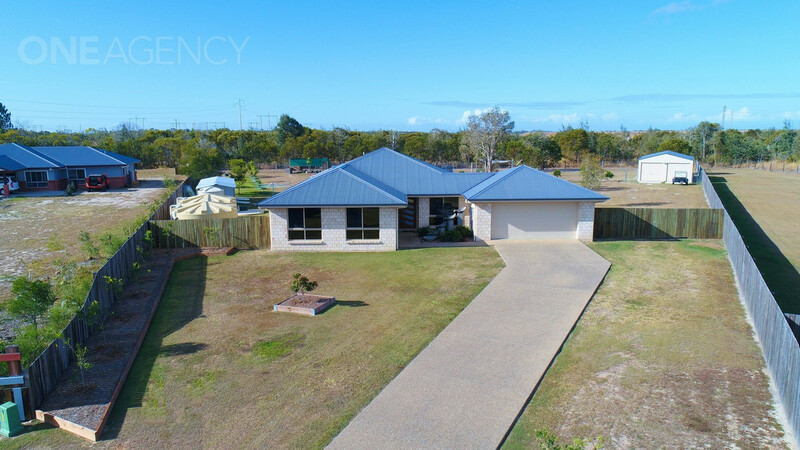 • Main living area interconnects with the private study/office and opens out onto the insulated outdoor entertaining area (3m x 6.9m) which overlooks the back of the property. 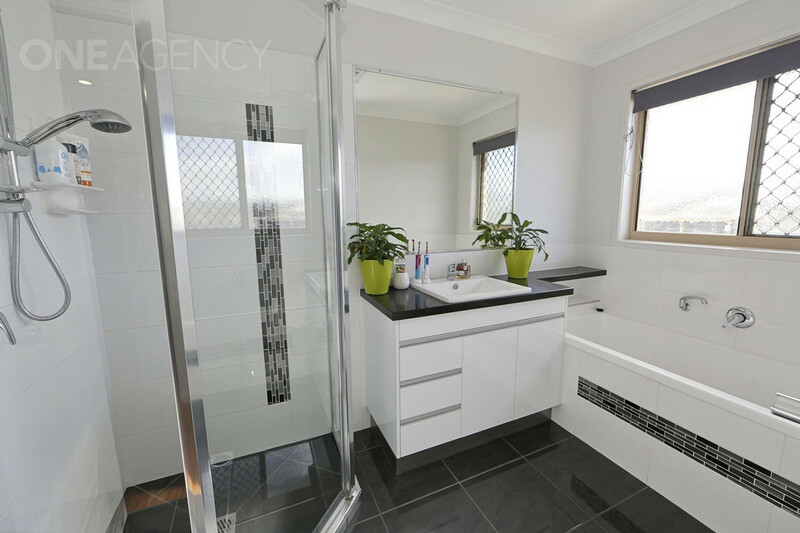 • The larger Master Bedroom incorporates a spacious Ensuite with Dual Shower and walk in robe, spit system Air Conditioner & fitted USB ports for charging your electronic devices. 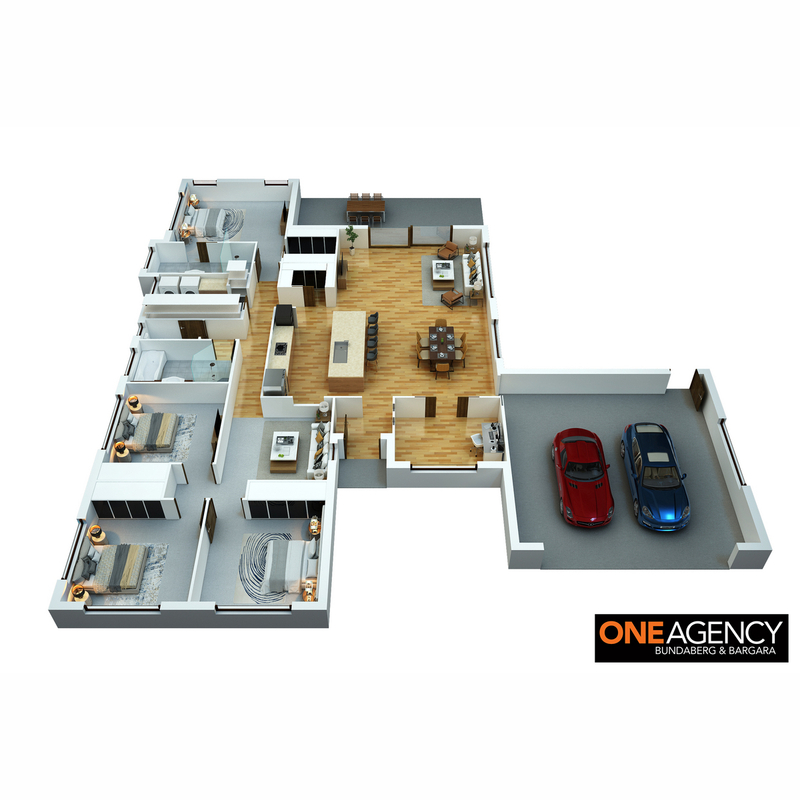 • Bedrooms 2,3 & 4 are carpeted, feature built-in robes and ceiling fans. 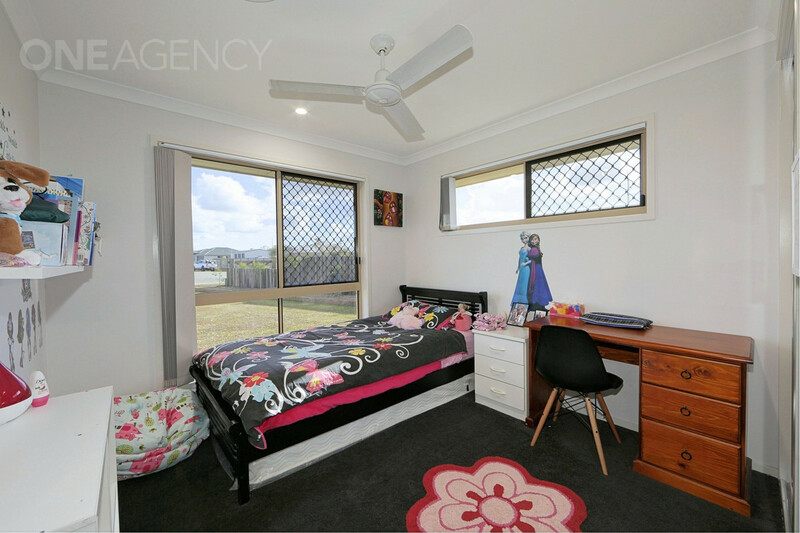 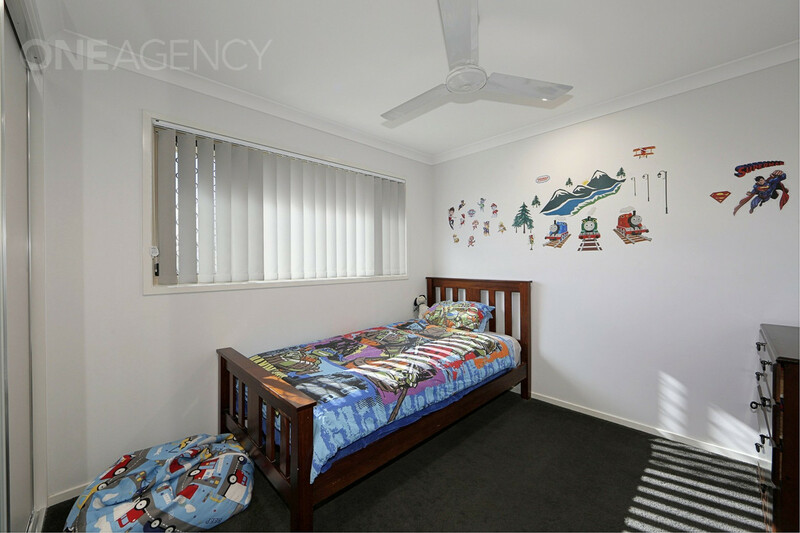 These bedrooms are situated to one side of the house and are centralised around a kid play room. 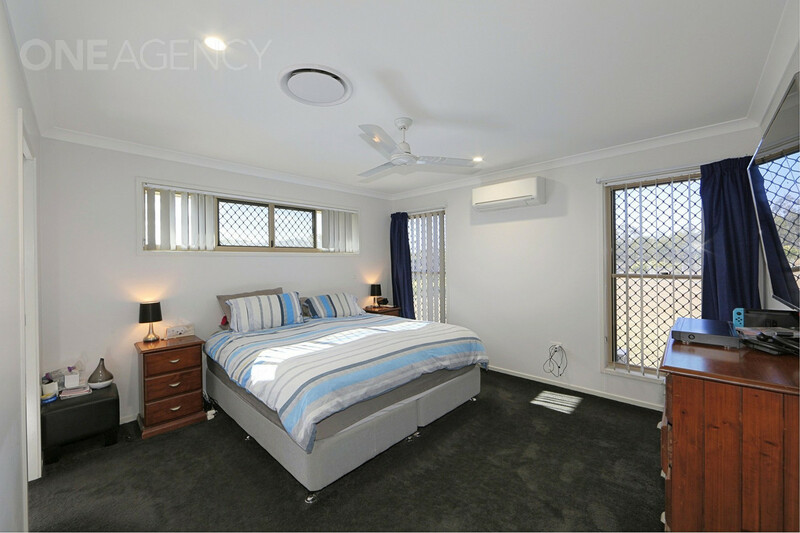 • The whole home is fitted with Daikin ducted Air-conditioning with an additional split system in the Master bedroom for convenience. 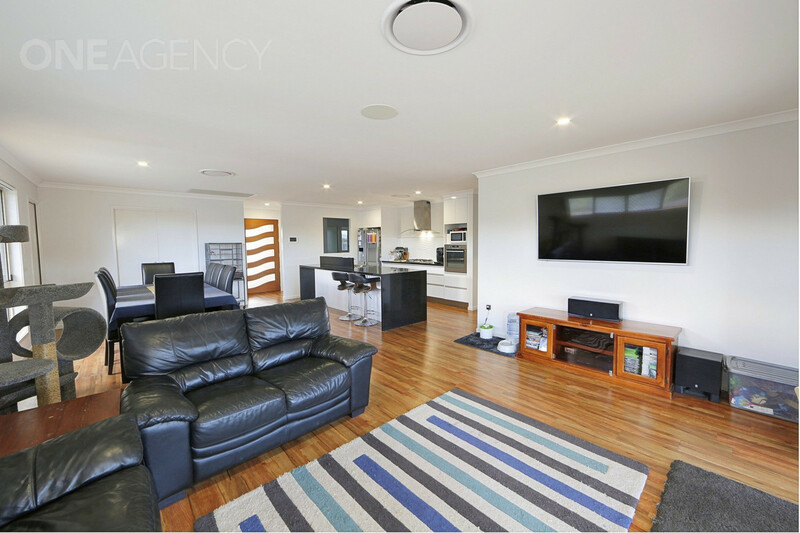 • This home is complete with loads of extra’s including, ethernet connections to all TV points in the home, Yamaha surround sound speakers in the Lounge Room for cinema sound when watching movies, WI FI speakers in the insulated outdoor entertaining area, window tinting to most windows, modern LED lighting throughout the home & external to light up the property in the evenings. 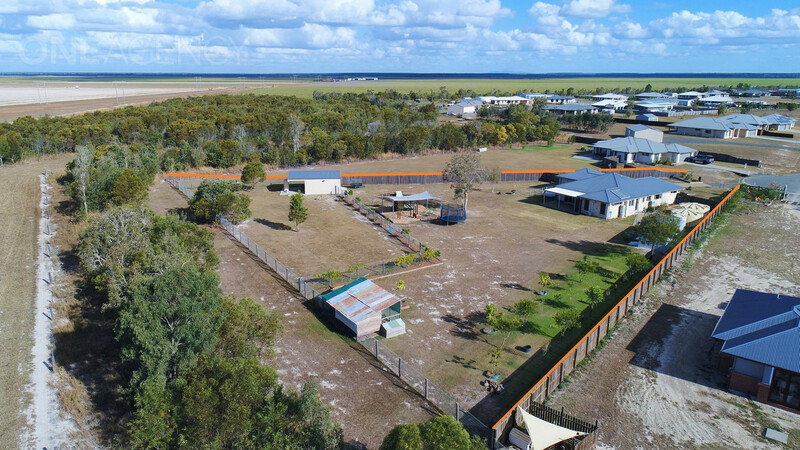 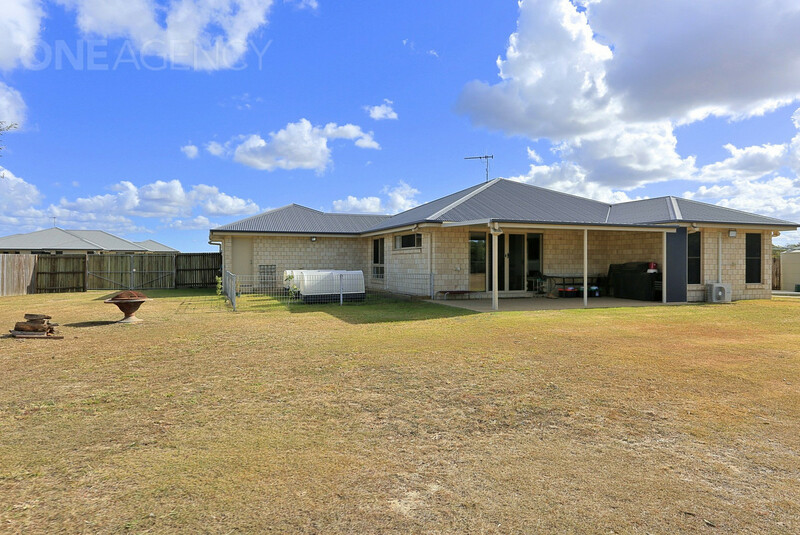 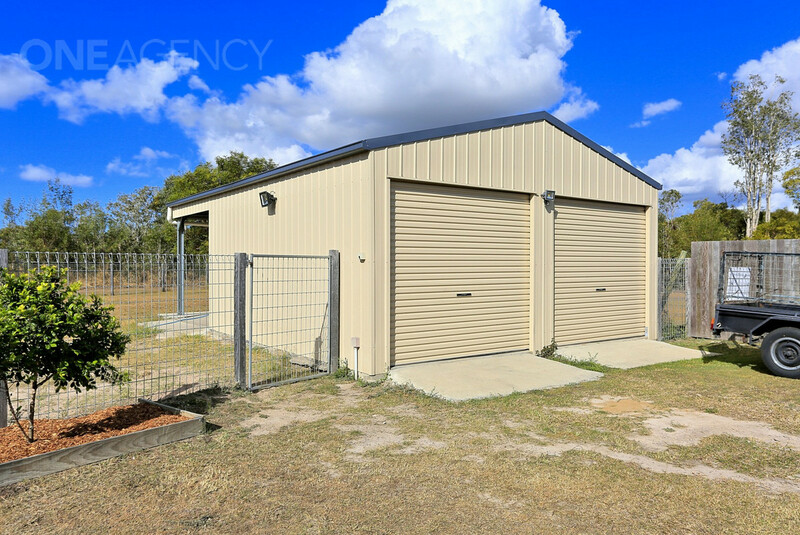 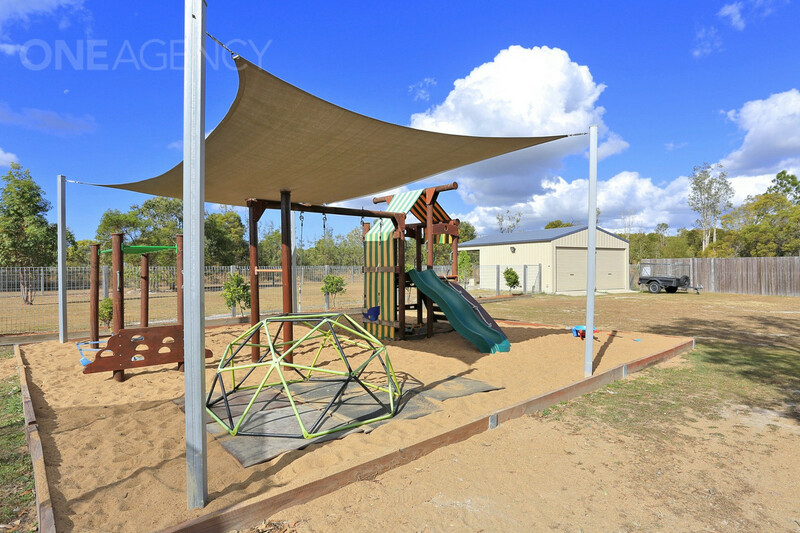 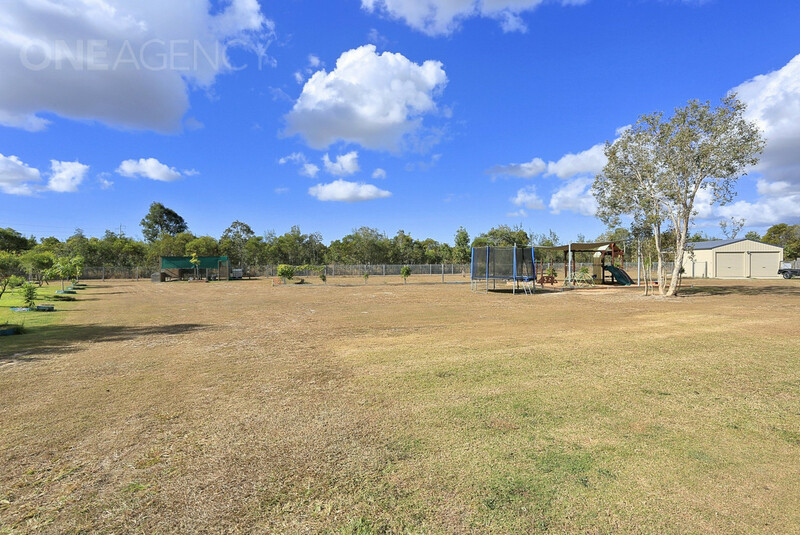 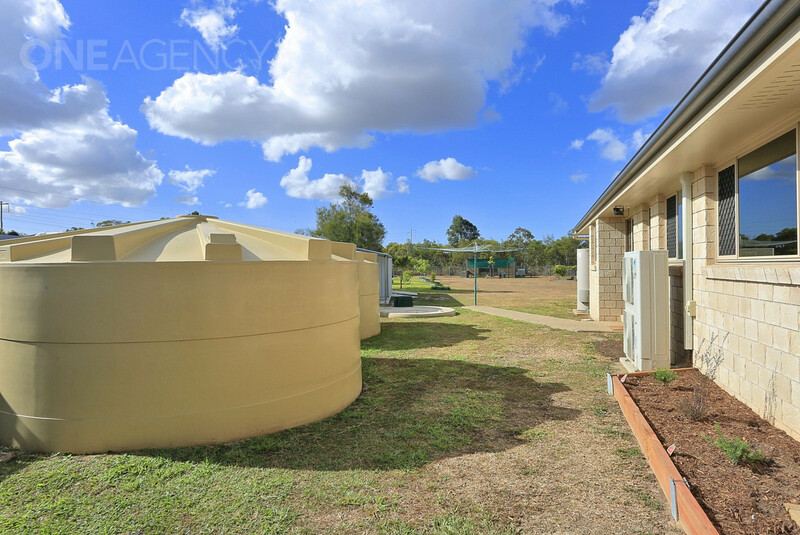 • The rear of the property provides a well fenced area to secure pets if required with access to water & plenty of room for them to run, play or graze.